The Nebraska defense gave up 415 yards passing to Arkansas State in week one, sending the faithful into a panic. If the Huskers can’t stop a Sun Belt team, what hope do they have against the better teams on their schedule? Nebraska will face the first of those better teams this weekend in Eugene, Oregon. If Nebraska plays as cautiously on defense as it did against the Red Wolves, the Huskers will be hard-pressed to keep up with the high-powered Ducks. Royce Freeman is the heart and soul of the Oregon squad and everything they do starts with him. He is going to get his yards no matter what Nebraska does. That being said, with the strength of the defense being up the middle with nose tackle Mick Stoltenberg, inside linebackers Chris Weber and Dedrick Young II and safeties Aaron Williams and Joshua Kalu, Nebraska seems well-equipped to at least make things tough on Oregon’s star running back (and his very talented back-ups). The key will be to limit everything else. 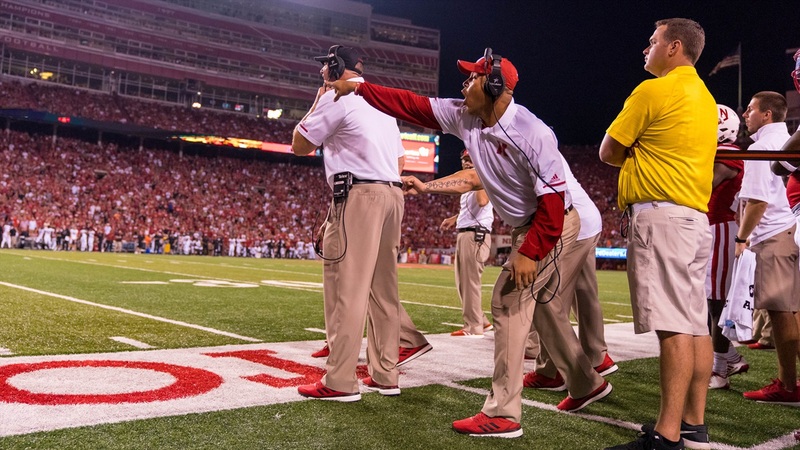 Nebraska cannot give up big gains through the air, and that starts with the secondary. Nebraska played three cornerbacks on defense in the season-opener — two sophomores and a redshirt freshman — and all three of them saw the most extensive playing time of their young careers in that game. Bob Diaco’s defense is aimed at eliminating big plays, and we saw that in week one as the corners spent most of the game playing 10 yards off the line of scrimmage as Nebraska was willing to concede underneath throws and make Arkansas State string long drives together. That 415 figure might not make fans happy, but the coaches didn’t seem to care much about it. That is going to be more difficult to pull off against the more talented Ducks. Oregon’s Justin Herbert was 17-of-21 through the air for 280 yards and a touchdown and backup Taylor Alie went 6-for-6 for another 74 yards against Southern Utah. The Ducks went for completions of 50, 38, 37, 27, 25 and 19. They have more than enough speed throughout the offense to burn the Huskers down the field. Lamar Jackson, Eric Lee Jr. and Dicaprio Bootle are going to have to keep those receivers, especially Charles Nelson, in check. But if Nebraska tries to defend the Ducks the same way it did the Red Wolves, Oregon is going to not only move the ball, it is going to score. They have the talent to sustain drives, and they have the speed to turn some of those quick-hitters into bigger gains even with the corners playing so far off the line. Nebraska can’t afford any missed tackles like the one Williams referred to. The receiver screens and quick slants that Arkansas State relied on so heavily limited the amount of down-field throws the corners had to deal with, but the final possession of the game was a valuable experience for them in that regard. With the clock running down, Arkansas State got the ball back with a successful onside kick and had a chance to tie the game with a touchdown drive. Arkansas State connected on a couple of passes, but Nebraska held strong in the final 10 seconds and the clock expired with the Huskers clinging to a 43-36 lead. One of the players who showed up big down the stretch — and who improved throughout the game — was true sophomore Lamar Jackson. Chris Jones’ injury meant Jackson had to step up as the team’s No. 1 corner, and he made an impact with a pass break-up on the penultimate play of the game. Oregon has multiple ways to beat you through the air, though, meaning Eric Lee and Dicaprio Bootle have to make plays as well. Bootle, the redshirt freshman, was named on of the “three starters” by Williams during fall camp and was solid in his Nebraska debut rotating with the other corners. Nebraska played almost exclusively base defense, meaning we didn’t get to see much nickel. However, the Ducks are going to spread the Huskers out a bit and will put Nelson (five catches for 99 yards and a touchdown in week one) in the slot. If the Huskers leave four linebackers on the field and make Marcus Newby or Luke Gifford have to match up with Nelson, it is going to be a long day. Lee seems to be the top option to play the nickel corner role, and he’ll have to play better against the Ducks than he did on the outside against the Red Wolves. Freeman should be the best player on the field come Saturday afternoon, but regardless of what the powerful back does if Nebraska fails to keep Oregon’s passing attack in check, the Ducks are going to fly way. The young Nebraska cornerbacks got their feet wet in week one. Week two will be baptism by fire.